Sutherland Global Services Reviews - Legit or Scam? Sutherland Global Services Reviews – Legit or Scam? Established in 1986 in Rochester, NY, Sutherland Global Services describes themselves as one of the world’s largest independent outsourcing companies focusing on business processes and technology management services. According to their website, they employ over 30,000 professionals in more than 40 operation and business centers in over 13 different countries all over the world. Sutherland Global says their one goal is to help their clients maximize customer lifetime value. [email protected] is what this company calls their at home workforce. There is a variety of different positions they offer to their remote employees, including Technical Support, Customer Service, Back Office, Inside Sales, and Management and Supervisory positions. Sutherland Global Services’ work at home employees are not independent contractors, like at many other companies that employ remote workers. Instead, you are considered a direct hire employee. Direct hire employees that are full time will have access to complete benefits, just like any other employee of the company, while part time employees are offered a basic 401k. However, since you are not a contracted employee, if you are hired for [email protected] either full time or part time, you will not be able to work as a telecommuter for any other company. In addition, as a direct hire employee, if you accept a position you will be offered paid training. Taking part in this paid training does not obligate you to work for Sutherland Global for any length of time – if, after training, you decide this job isn’t for you, you can decline the position. People who are interested in working for their Virtual Workforce must send their resumes to recruit.suth.com in response to a specific position in order to be considered. Unsolicited resumes will not be accepted. Average Rating for " Sutherland Global Services " is 1.92 out of 5 based on 13 reviews. Today received an email regarding this company Sutherland Global Services and I had a interview through google hangouts via email, never heard of this process before and as I went through the interviewing process, I was very Leary and then after the initial interview they confirmed I was hired and they wanted to send me a check via FedEx for deposit through the ATM and as I advised that I work for a bank and I did not feel comfortable with the process due numerous customers being scammed that way and he stated again it was for me to purchase equipment needed for the job. I asked the interviewer why can't they send the necessary equipment needed for the job instead of sending me a check to purchase, he could not give me a clear answer and then he messaged me the same information again the same exact way. I graciously declined the offer and explained that I'm not comfortable with this process and he asked why not? and I explained to him again and then he got very hostile with and stated his company is legit and I explained again to him again I wasn't interested and to have a good day. Yes when you get a uneasy feeling about something it is normally the correct feeling. Our HR Dept has reviewed your resume published for an ( Administrative Assistant/ Customer Service Rep. Candidate. ). Your resume has been reviewed and you have been shortlisted for the next step. We are pleased to invite you to an Online Interview for the position.. You are required to contact the Personnel Manager Mr. peter smith He will brief you more concerning the position and company.
) in regards to the Online interview. Your Verification/Hiring code is "HRP7KR5S", this would serve as your identification code through out the online hiring process. if you are having any problem adding him on Google Hangouts . Got recent fraudulent email as below. 1. I had never applied to their job before! 3. No company will do video interview for such positions without a resume, questionnaire or some sort of preliminary assessment. 4. Email comes from a Gmail account. Which employer will run a sizable business and not have their own email domain? 5. Company name keeps changing in different sections. 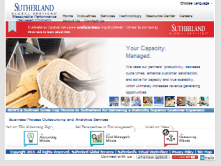 A. Schulman Company to Sutherland Global Services! Welcome to (A. Schulman Company), Our recruitment team viewed your resume Customer Service Representative/ Call Center Representative Part Time/Full Time and we are pleased with your qualifications, we believe you have the required qualifications to undergo an online interview. You have been considered and scheduled for an online interview to discuss more about the position offerred. You are required to set up a Skype Account (www.skype.com) and download the app from the app store i.e for smart phone and for PC . After this process, you are to add Mr Peter Johnson on Skype, his SKYPE ID is [email protected]) or add him on google hangouts at([email protected]) add to your buddy list now. he would be online waiting to talk to you by Asap, If you have any problem in setting them up, you can email him on ([email protected]). Your verification code is BBRU6894, this would serve as your identification number throughout the online hiring process. Your timely response matters a lot. We look forward to having you on the team. This place isn't legit. I got a text message on a Saturday morning before 9am ( first red flag) asking me if I was interested in a customer service position. I told him to send me an email confirming the position and location in which he told me that everything was thru Google hang out and asked me for my Gmail email. I informed him I was in the middle of something and would get back to him. I started to research the company and couldn't get an understanding of what they did. I decided not to respond back. On Sunday morning he texted me again asking me if I'm still interested (another red flag) it's not normal to receive text messages on the weekend not even during business hours regarding business opportunities. Once I said no thank you he never responded again. They must be searching thru job searching websites to get people's info from their resumes. This guy a knew my first and last name and the way the texts were written didn't seem right either. Be aware everyone! they would send me a cashier's check to purchase software, (2014 Peachtree), and instructed me to hold it 24 hrs. exactly before making my purchase? I said I wasn't comfortable with that, why couldn't I just buy it and they reimburse me or send me a download link? They hung up on me at that point. SCAM TO ME. Marvelous, what are some survey sites that actually pay a blog it is! SCAM!!!!! They offered me an at-home job and wanted to send me a check to purchase software and equipment. They went through an actual online interview process that seemed a bit shady too. Without meeting anyone physically, filling out W2, or an offer/acceptance letter, they emailed me an official check for $2950 and kept telling me to specifically deposit through my mobile app. I went to the bank where the check was issued from and immediately was told it was a fraudulent check. It takes about 24-48 to validate the check via phone verification which is why they demand you deposit the check ASAP. He will not respond to my emails anymore and the website is temp down now. Police report will be filed and will be posting on every website possible about these fools. They are targeting military veterans too. Wow. I'm glad I didn't get very far with my interview. The guy I'm talking to right now is named Samual Anthony claiming to be an HR hiring manager from sutherland global services and cloud sourcing too. I am told he will email me a check for ALL materials needed for my position as a customer service telecommuncator, such as buying my apple laptop and all software needed will be purchased for the position. After an extensive 2hr interview on Google Hangouts, He finally asked about my banking type and can I make mobile app deppsits too. SCAM PLP!! I got too many red flags talking to this space junky about my job position and everything is paid for yet I've never had to go so far in an interview for anotger person to ask all about my banking concepts and procedures. DONT FALL FOR IT!! Is the person Darin C Wright? I thought the whole process was a bit strange. I got a check via federal express and contacted the sender to confirm. The fedex account was stolen. Then I contacted the bank on the check and its not valid. This person then contacted me via messaging and I put him on the spot. He acted all surprised. I but I never hear from them again. I recently got approached via text message to join SGS. Which was not usual, however, after an amazing pitch I signed up to start working. After that a number of deposits were made into my account siting start up cost. This is where the trouble started. First my account was placed on hold, then one by one. The checks started to be returned. My bank then closed my account and said I couldn't do business with them again. All the while my recruiter had reassured me that the company "SBS" would pay for the "bad checks" and the fees it occurred but will not provide any detail on how this issue will be taken care of. John same thing happened to me. Any other to contact you? I've just started working for SGS and I must admit, while every place of employment has its good and bad, SGS in my opinion is not only legit but also offers a ray of hope for employment ascension. Never had a problem with getting paid or with condescending work superiors . This company is constantly evolving and improving its operations day by day within the cyber world. Hey, it could be worst, you could be working in one of Donald Trump's properties! UNSTABLE: (1) During platform training in June to July-mid Aug 2015 on the Citi Group mortgage underwriting platform, the Houston, Texas HR staff screwed up the new training teams' on-boarding process (i.e., offer letters and relocation). (2) In July 2015, members of the sister training team in Rochester, NY didn't get their first paychecks on the Citi Group platform; that stopped training completely during a live training module via conference call because 4 people from Rochester were so livid, they actually left their training room and went immediately to HR. Rochester, NY is SGS' headquarters. (3) During the Citi Group mortgage platform training mid-July, the TX training team went to sit with current employees on the floor to observe and were informed by those floor underwriters that they were being laid-off, and the training team was training to take the jobs of the very employees they were assigned to sit with that day. Hence, the current employees refused to "train" and "side-by-sides" on the floor were suspended for the rest of day while account management over the Citi platform addressed both the training teams on an impromptu conference call regarding the layoffs. (4)In August 2015, the Citi platform floor manager over the underwriting, processing and closing team leads in TX was walked out mid-morning unexpectedly by upper management. The original estimated TX staff headcount of the Citi account platform had been upwards of 200 three years ago and it was stated by staff that by Aug 2015, staff was estimated to be under or at 65 employees. (5) Citi Group decided to cease their pipeline volume to SGS in Sept 2015 while staff completed the last of the outstanding loans through October 2015 (6) Out of an estimated 60 new on-boarded employees hired to train to work on the Citi Group platform, within 153 days only ten remained from both teams due to attrition or layoff. Citi Group had allegedly decided to pull their 5yr contract in January 2015 after only 3yrs with Sutherland but Sutherland hired regardless. (7) The estimated cost of personal relocation expense for each employee was between 7K-10K; the client, Citi Group, had provided the training for their own programs using their own WebEx programs, Sutherland has no on-site network administration or IT to support onsite staff; IT is re-routed to India. There is little investment into the employees well-being or morale, near-to-none employee engagement (past the development of the physical building at the worksite for physical security requirements), career development has only recently been introduced on a trial basis for career development, and there isn't appropriate technical support to allow functionality of staff for their assigned job responsibilities (as actual physical equipment such as workstations and peripherals are outdated, old running unsupported software programs and applications that are unsupported). Employees are subjected to a call center environment working in older, leased buildings located in community-challenged, inner-city locations. Therefore, turnover is high. Angom Puru Singh on AyuWage Reviews – Legit or Scam? Mike on Oxford Club Reviews – Legit or Scam? Norris Lake on MyLife.com Reviews – Legit or Scam? Darryl on New USA Funding Reviews – Legit or Scam? Zheomara on FreeBitco.in Reviews – Legit or Scam?